You can find shareware mahjong solitaire games in this webpage,Share ware mahjong solitaire games are 'try-before-you-buy'games.you can play for a period of time for tyial.If you think the game is intersting,and wish to contine to play,you are required to pay for the game file, Today shareware have various restrictions like limited features or are time limited.Some mahjong solitare games offer only one hour for free trial .As a old saying says you get what you paid for,It's up to you to decide what mahjong solitaire game you will choose. Experience this age old oriental classic, with a science fiction makeover. 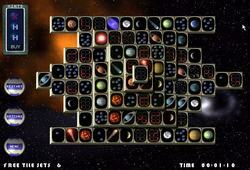 Space Mahjongg is more than the regular mahjongg game you know and love though. 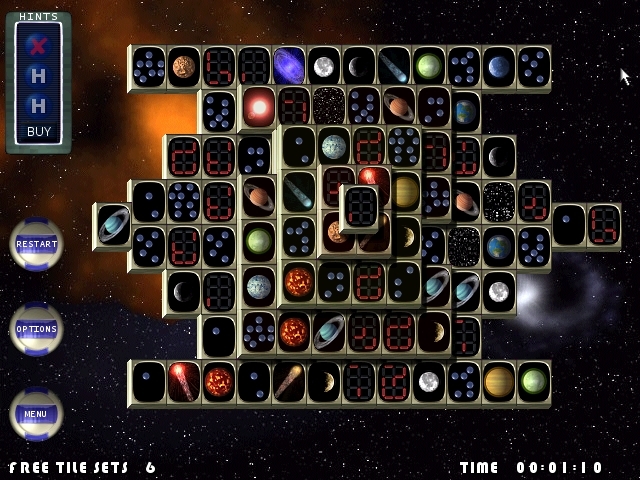 This game has many new game types for experienced players and beginners alike.